Beaufort Wine and Food’s Craft Beer Festival is a Crystal Coast event you just can’t miss. This two-day event features beer seminars, beer luncheons and dinners at area restaurants, a Pub Crawl where the final stop will feature live music. And the grand finale of the Beaufort Craft Beer Festival – Beer, Bubbles and BBQ – a tasting event featuring some of the top craft breweries and brew pubs in North Carolina. Make plans to attend the Beaufort Craft Beer Festival today! Beer seminars take place in the Beer Garden at The Backstreet Pub. Guests will start at the Beaufort Wine and Food office where they will receive wrist bands, complimentary beer cup and a ‘punch card’ with each of the stops listed. Beer dinners are hosted on Friday evening at three area restaurants featuring dishes from local chefs and guest brewers. Beaufort Wine and Food’s first ever Beer Brunch will feature the host chef and a number of brewers on site to walk guests through the multi-course menu. Luncheons will be held at two local restaurants where chefs and brewers will walk guest though food and beer selections. A full list of participating restaurants and breweries will be announced closer to the event. Tasting event features North Carolina’s top craft breweries and brew pubs. The event will be held at Front Street Village, on 2400 Lennoxville Road. 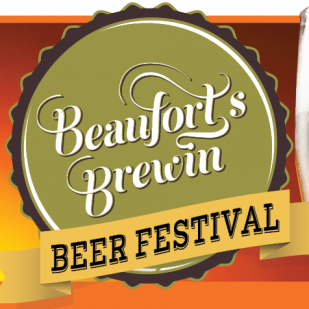 Looking for a place to stay during the Beaufort’s Brewin’ Craft Beer Festival? Reserve your stay with Emerald Isle Realty and choose from an amazing selection of Emerald Isle beach vacation houses and condo rentals, all perfectly priced to fit your budget. Book your stay online or call us at (866) 586-6980.